Spring temperatures have started to arrive and we are starting to look forward to seeing all of the insects come back to life like ladybugs, butterflies and dragonflies. 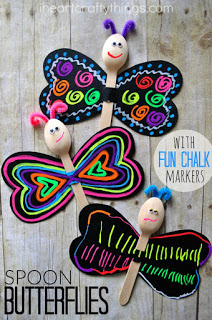 This simple wooden spoon dragonfly craft will get you even more excited to observe all of your favorite insects in nature. 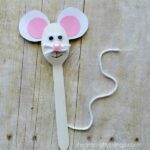 These are easy to make and the kids will love flying them around and playing with them after creating them. 1. 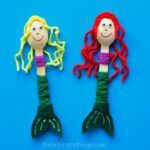 Start by painting the back of your wooden spoon with your turquoise paint. Set it aside to dry. 2. 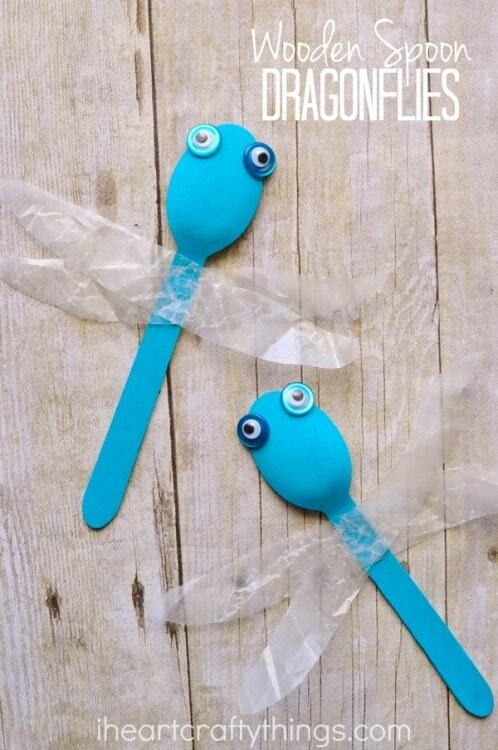 While your paint is drying, cut out two long wings from your wax paper for your dragonfly craft. 3. 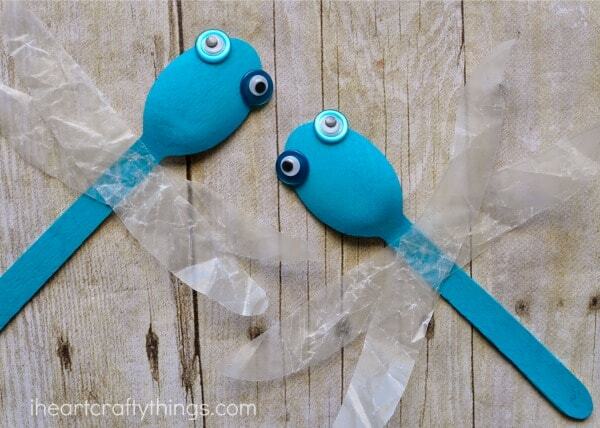 Glue your googly eyes onto your turquoise buttons. 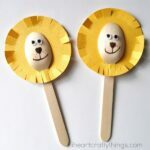 You could also use pom poms instead of buttons. 4. 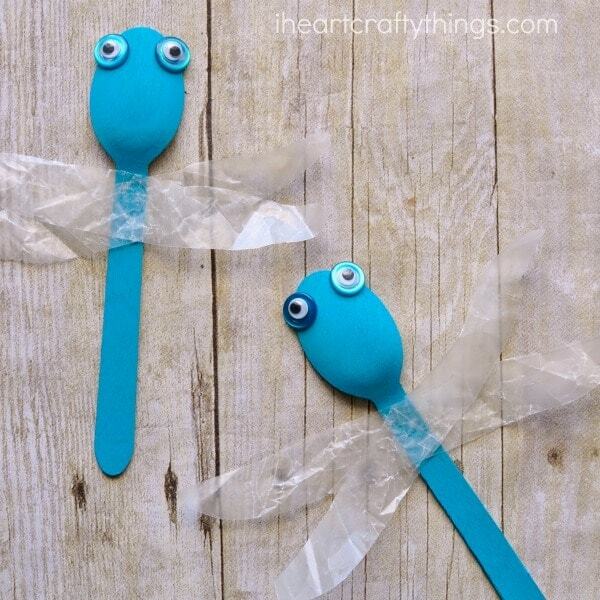 Glue your wax paper wings onto your spoon in a criss-cross. 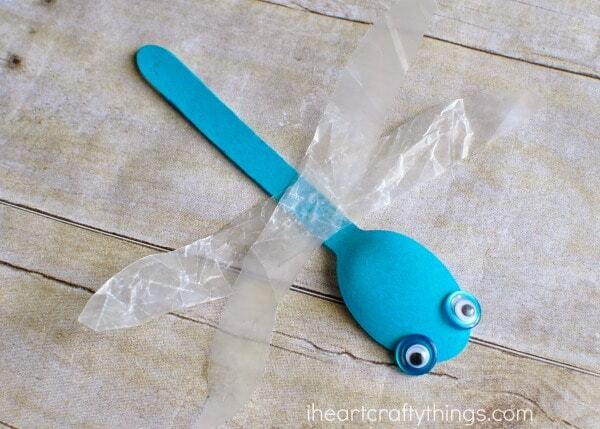 Then glue your buttons and googly eyes onto your dragonfly craft.